As far as I can tell, nothing in life is ever all one way, simply either good or bad. Think: people, politics, places, technology . . . and cannabis for that matter. It seems to me that we have entered (Maybe it always been this way?) a phase where black and white thinking/opinions about people, politics, places, technology and cannabis, etc. is cast in stone. No exceptions and no shades of grey. ‘Good’ people have been known to become murders. A handful of politicians attempt to stay true to acting ‘for the people’. Gorgeous tourist destinations still dump human waste into the ocean. In the world of herbs and herbal remedies one characteristic that identifies the cannabis plant is that it is ‘bimodal’. Bimodal means its effect depends on how the plant is used. When used medicinally via microdosing, you get one effect and when used (usually overuses) for years, and/or containing a high percentage of THC, you get another, which can lead to psychosis or CHS. But most people never learn this fact of cannabis’ bi-modality. The three recent, scientifically-based articles documented above tell the story of the dark side of cannabis. I discussed this propensity for cannabis in previous blogs here and here. What is interesting, however, is that as evidence of the symptoms and causes get clarified, black and white thinking often gets applied as further evidence of the ‘evil’ weed. Since cannabis has two different modes of how it affects users, to the informed, this fact changes the conversation. 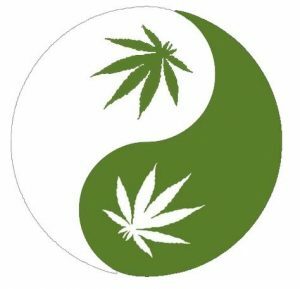 The focus shifts from cannabis good or cannabis bad to a personal inquiry: Why do some people choose to over-consume cannabis and/or go for the products with the most THC while others do not? Where does personal responsibility enter the equation? Asking and answering these questions exonerates cannabis from the good/bad conundrum common to many and instead puts the emphasis where it belongs: on the individual usage of the plant. My hope is that such factual information may help others to take advantage of the medicinal use of cannabis. Check out this 3-minute video.